Meet Carlos Alamillo! A Playa local doing amazing things. We appreciate his continued focus on eco-sustainability and building a sense of community with all his unique projects. Ready for an Indiana Jones adventure and a bit of mystery? For thrills, great views and total self-satisfaction, climb Cobá's steep pyramid of Nohoch Mul. It’s tempting to stroll straight to the cliff’s edge at Tulum and enjoy the turquoise Caribbean. But this site deserves more attention. Peer into the dark heart of the Maya, the secrets of their gods. Step inside a groundbreaking innovation that has turned an unwelcome intruder into a home. Here we talked to the man at the helm, Omar Vázquez Sánchez. Are you a detective at heart? Do you enjoy puzzles? This is one of the best adventures into the unknown in Yucatán and you are welcome. Don’t miss the 4th Annual Parade of Catrinas and Art and Cultural Festival this Saturday October 27th in celebration of the upcoming Day of the Dead Holiday. It’s bull shark season in the Riviera Maya from November until March. Many dive shops offer tours to dive up close and personal with them. 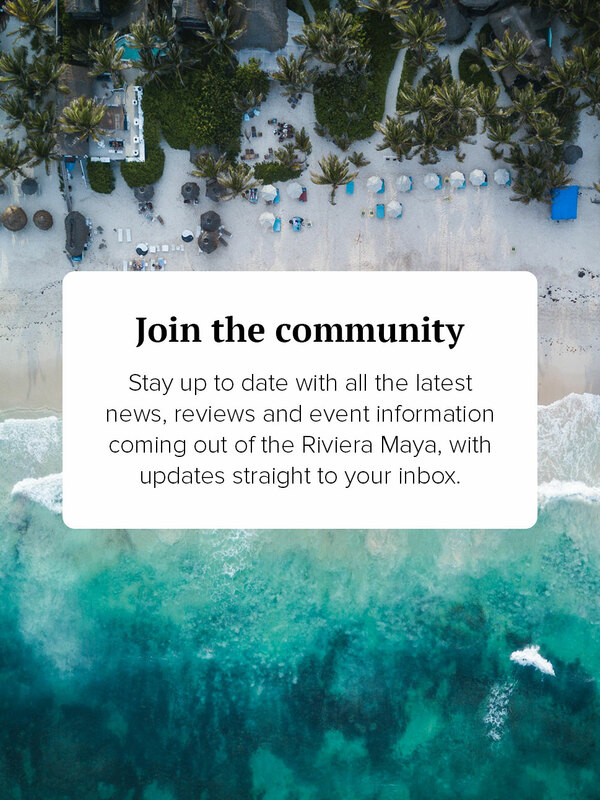 Stay up to date with all the latest news, reviews and event information coming out of the Riviera Maya. Welcome to the community. Head to your inbox for the next step.